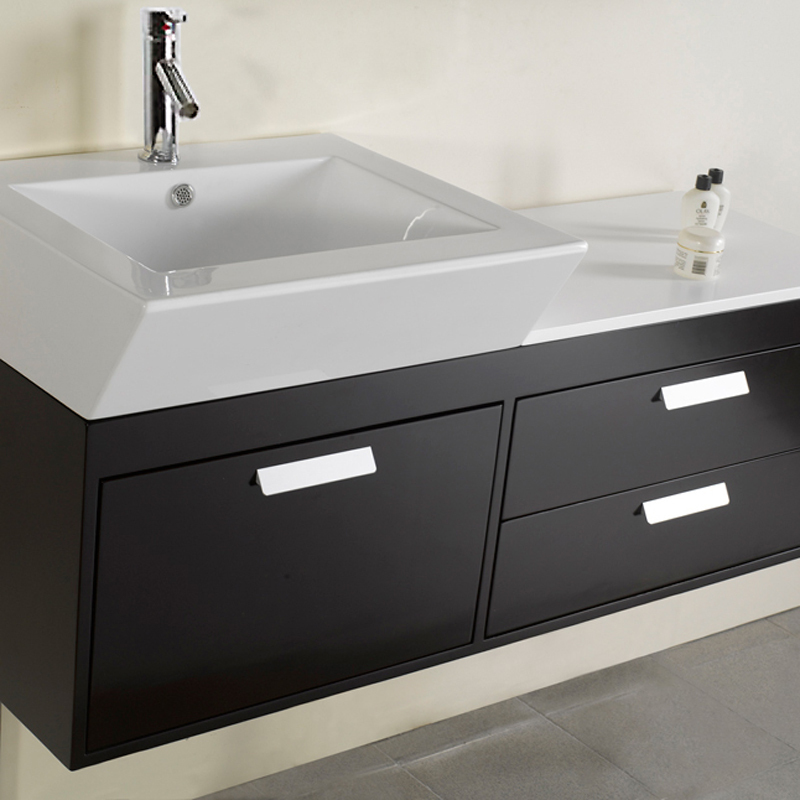 Crafted with a modern design, the 51.75" Alicia Single Bath Vanity with Faucet offers contemporary style to any setting. Vanity features clean lines and a distinctive design with a concealed back drain located behind the basin, leaving nothing to obscure the beauty of this artistic piece. 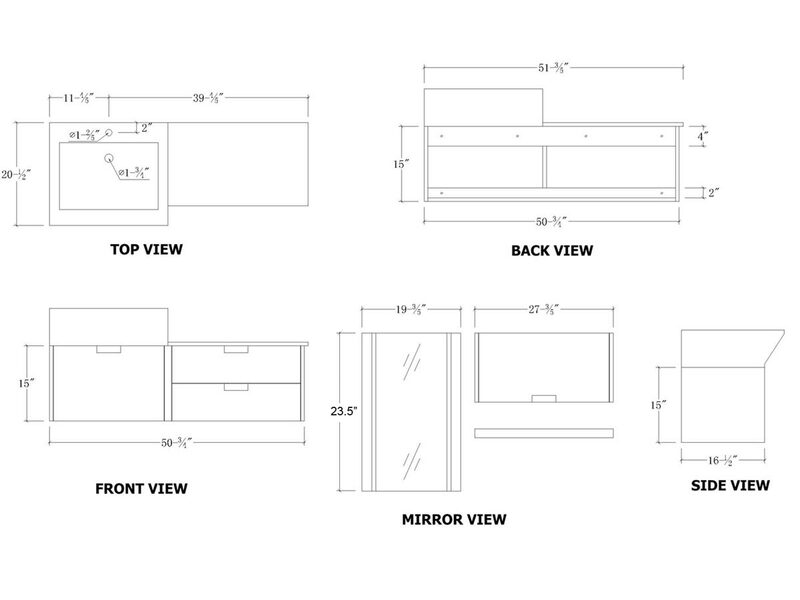 This vanity grants the perfect shape and quality finishing demanded of sophisticated applications. 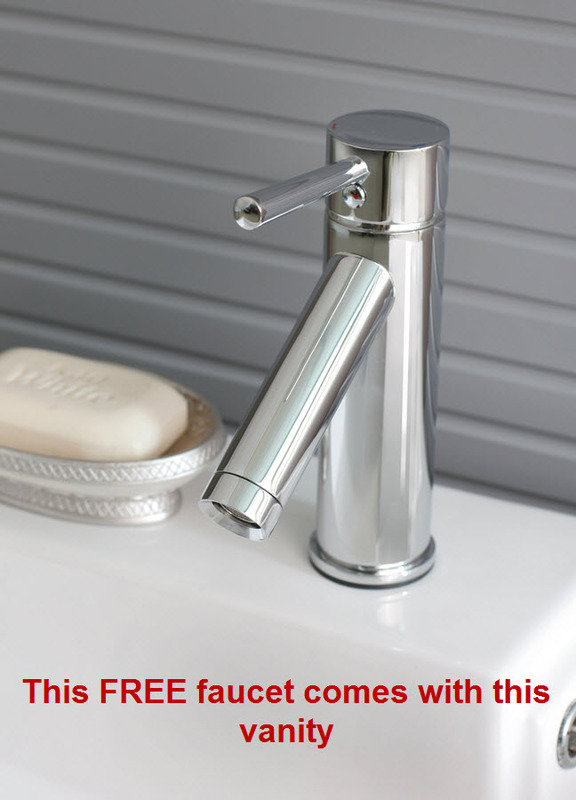 Solid brass construction faucet withpop up drain in chrome finish. 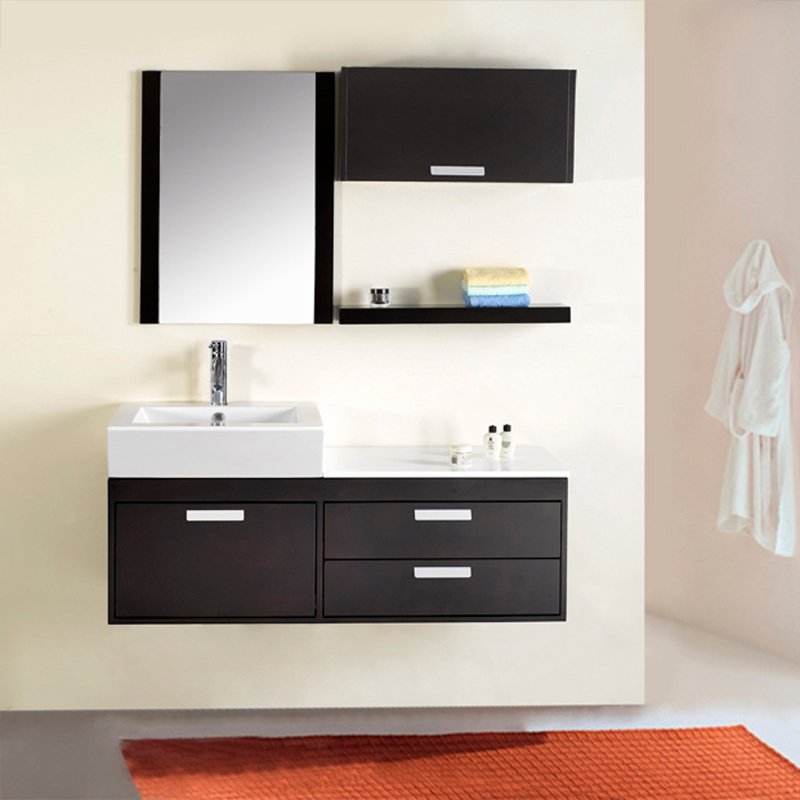 The Alicia Vanity cabinet is made from solid Rubberwood a hardwood from the maple family of woods. Rubberwood has very little tendency to warp or crack and is Eco Friendly.